An enlightening insight of what it means to be a PADI Instructor, Trainer and mentor in the diving industry, through the eyes of Darius Moazzami, Platinum Course Director, Crystal Dive Resort, Koh Tao. As another PADI Instructor Development Course winds down I find myself with time to reflect about the path that I’ve chosen and the amazing journey ahead for my newly certified PADI Instructors. Having been a PADI Instructor for 13 years and a Course Director for the last 8, I still remember teaching my first courses and can almost still feel the nervous energy, anticipation and astonishing sense of responsibility that my new trainees are sure to face in the coming months. As much as my colleagues and I put into our Instructor programs, we realise that the real education of a new Instructor has only just begun. For many, the challenge of creating their own path in this industry will result in a long-term career filled with an array of experiences that may be unmatched in the professional world. For some, becoming a PADI Instructor is a personal success that will always define them as people who embrace challenges. Others still, may find this new role as a temporary diversion from life’s greater adventures. But for all, the time that they have spent in achieving the rating and the work they do in the industry will enrich their lives and teach them skills that will forever be utilised. At times, my journey as a PADI Instructor has been defined by each of these motivations. Eventually, I came to the realisation that there are few jobs which can bring a combination of the satisfaction, adventure and lifestyle that I enjoy in the dive industry. Through diving, I have been introduced to some of the most interesting and entertaining people and places the world has to offer. Aside from my family, nearly all of the relationships that I value the most have been conceived along my path as a PADI Instructor. I feel fortunate and a little bewildered to consider the many ways in which I have become close to people of such hugely diverse backgrounds, from the farthest reaches of the planet. And I am grateful for the connections. As most of us have come to realize, the underwater world is a spectacular place and the protection of it is a unifying force for the dive industry. Regardless of our motivations, we all have a shared sense of responsibility to safeguard its wonders. The threats to our seas are huge, and so must be our resolve to educate and awaken people to its beauty. 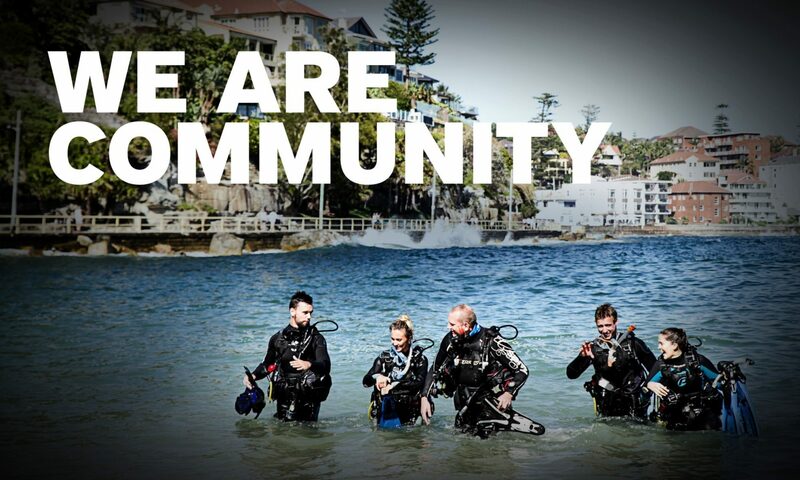 The importance of PADI Instructors in this process is immeasurable. And only through our success can we continue in one of the most gratifying and fascinating jobs imaginable.